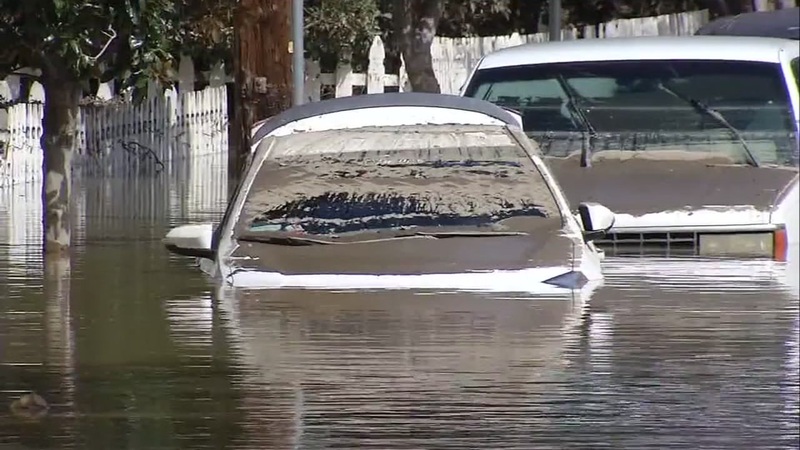 SAN JOSE, Calif. -- An attorney and some of the clients she is representing held a news conference in San Jose Thursday to discuss a lawsuit being filed against multiple local county and city agencies as a result of the Coyote Creek flood. Attorney Amanda Hawes and some flood victims were present to talk about harm suffered and desired solutions. Hawes and fellow attorney Suzanne Murphy are representing over 150 families who are suing the Santa Clara Valley Water District, the city of San Jose and Santa Clara County. Widespread evacuation orders were issued on Feb. 21, 2017, because of flooding in the Kelley Park area of San Jose. City officials estimated the flooding caused about $73 million in damage. Smith said that the lawsuit's complaint has been drafted and he said the families are alleging eight causes of action, including but not limited to inverse condemnation, breach of mandatory duty, nuisance, negligence, dangerous condition of public property, and intentional infliction of emotional distress.